When published in 1971, Fred Craddock’s As One without Authority landed like “a bombshell on the playground of preachers.” In it, Craddock called for a new homiletic, for preaching to start with the hearer, not the text, and for preaching to be inductive, not deductive. What is more, Paul’s command to Titus is a timeless charge to every preacher, “These things teach, reprove, and rebuke, as one having all authority; let no one disregard you.”[ii] Such authoritative preaching rests on four pillars. Stott was right. The preacher’s authority is the Bible itself. God chose to reveal himself to his people through his Word. His Word is inspired, infallible and inerrant, thus it is authoritative. As the Reformers reasoned, Vox Scriptura Vox Dei, the voice of Scripture is the voice of God. God’s voice is an authoritative voice and his word is an authoritative Word. God meant it to be preached in an authoritative manner. 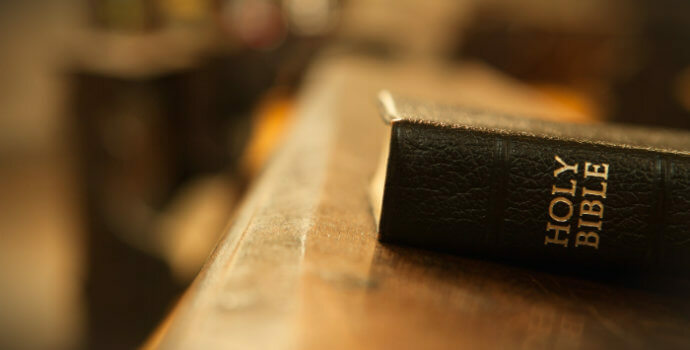 Throughout the Bible, Scripture references its own power and authority. Jeremiah declared God’s Word is “a hammer that breaks the rock,”[iv] and Isaiah testified God’s Word “will not return void.”[v] His prophets of old, like Jonah, heralded his message authoritatively. The foundation of a preacher’s authority is the Scripture, but it doesn’t end there. The Lord is always pleased to bless his Word preached, but on occasion, he chooses especially to bless it. Peter at Pentecost preached with the power of the Holy Spirit resting on him. Weeks prior, he denied Jesus before a slave girl, but now, under the power of the Holy Spirit, he proclaimed the gospel with authority, indicting the people of Israel with the murder of the Son of God. The difference in Peter was the power of the Holy Spirit. The preacher’s authority is enhanced by a life of integrity and ministerial credibility. I Tim 3:1–7 documents the qualifications for ministry and the necessity of being “above reproach.” Moreover, Paul frequently pointed to his life and character to buttress the credibility of his ministry and the authority of his message. Sterling character takes time to cultivate and it takes even more time to be appreciated by others. A preacher’s credibility with his congregation is slowly accumulated but abruptly forfeited. It enters town on foot, but departs on horseback. Authority is not something the preacher talks into himself on Sunday mornings. Nor is it granted by title, office, attire, or by brutishly pulling rank. But, when the sermon is indeed biblical and delivered by a man with a life of integrity, in the power of the Holy Spirit and with full conviction, a supremely authoritative event has taken place—one has preached with authority. [iii] John R. W. Stott, The Preacher’s Portrait (Grand Rapids, MI: Eerdmans, 1988), 29. [vii] Cited in John R. W. Stott, Between Two Worlds: The Challenge of Preaching Today (Grand Rapids, MI: Eerdmans, 1982), 269–70.